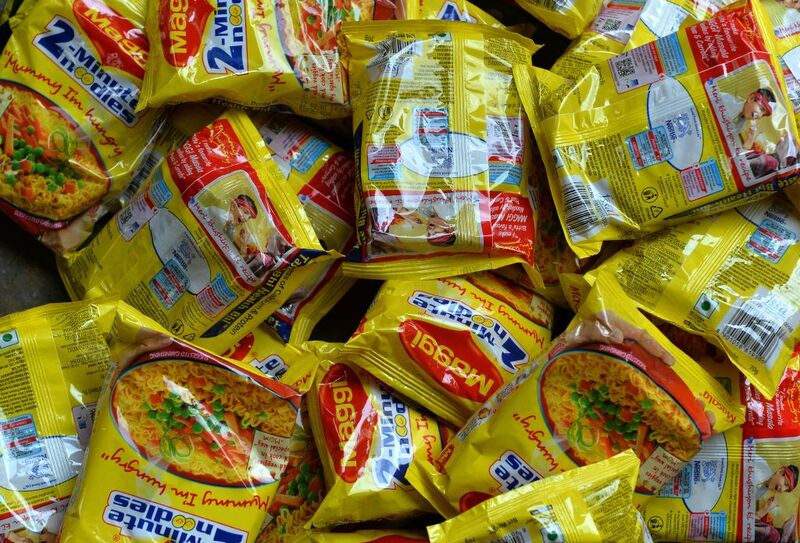 Now that we all know Maggi is safe for consumption and away from the prying eyes of controversies (for now), we can take a deep breath and welcome it back with open pots of boiling water and those precious 2 minutes to cook it. 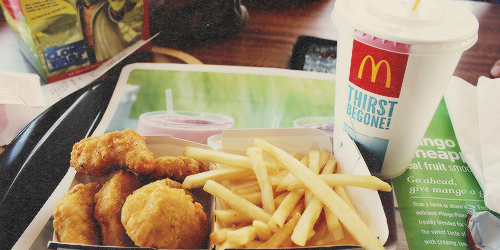 The world’s most popular fast food chain has had its own share of controversies over the years. From a dead rat found in a man’s coffee in Canada to the Shanghai outlet accused of repacking expired meat; from finding plastic in the chicken nuggets to being accused of cooking the french fries in beef fat – McDonald’s has been through it all. 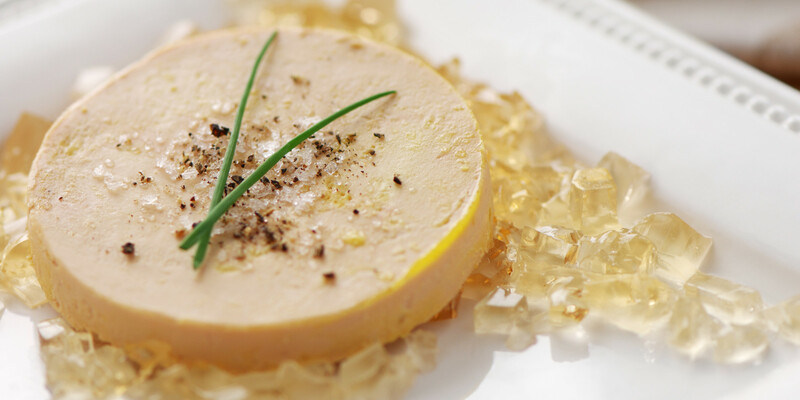 This infamous French delicacy is made from duck or goose liver after fattening the animal to a certain specification. While traditional feeding methods can be used to fatten animals, the French don’t think that it is quite enough. The modern feeding method involves a feeding tube inserted into the animal’s esophagus. This way, a precise amount of food can be shoved down it’s throat. In 1998, there was an outcry regarding this force-feeding practice harming the bird’s health. 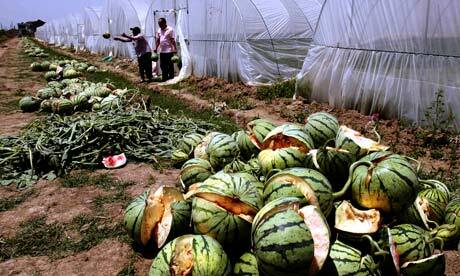 China really seems to have explosive food safety problems. Literally. To double their income, Chinese farmers thought it would be alright to spray their crops with a certain chemical to quicken their growth. Instead, it is having the opposite effect because these watermelons are exploding unintentionally and only a few markets are brave enough to buy them. China takes the banner of “fake” to another level with every new invention. 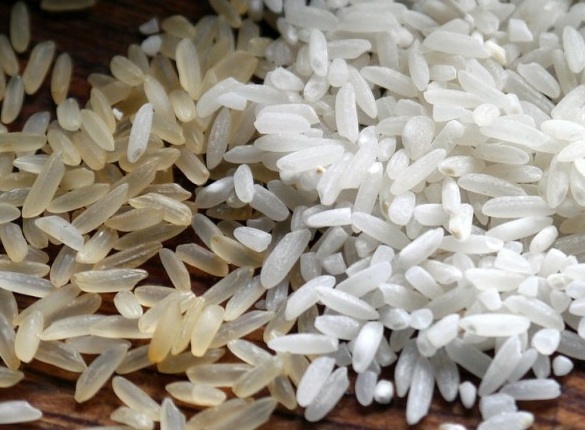 It has been reported that Taiyuan, China still produces fake rice. A combination of potato and sweet potato, shaped into rice-like grains and industrial-grade plastic resin added as a finishing touch, it remains hard even after cooking and not to forget that it is really toxic for human consumption. There came a time when this dearly loved chocolate got caught in the spotlight for having worms in their chocolate bars (wiggle wiggle wiggle). People all over Maharashtra created an uproar regarding the hygiene levels at the production and packaging stages. 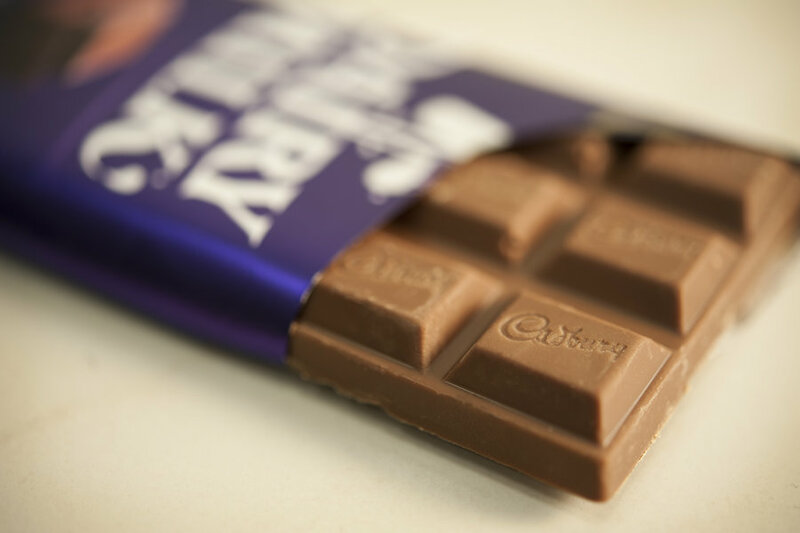 The sales went down drastically but Cadbury bounced back by investing heavily in product quality and customer satisfaction. 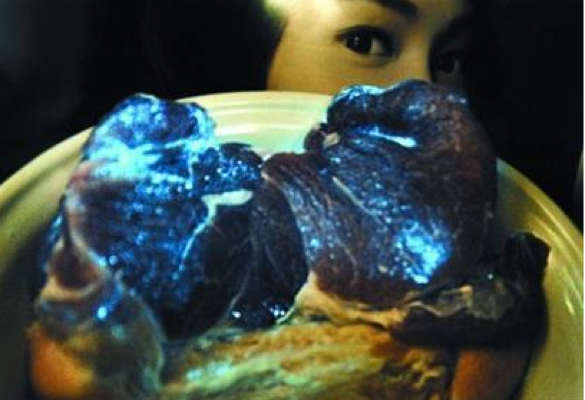 Imagine waking up in the middle of the night to visit the toilet and instead finding a plate of leftover pork glowing in the dark. Changsha City, China were baffled on this discovery. On further investigation, the Changsha Food Safety Commission reported that the occurrence was due to phosphorescent bacteria contamination. If Satan had a favourite dish, this would definitely be it. Sardinia, Italy is famous for this maggot-infested cheese. 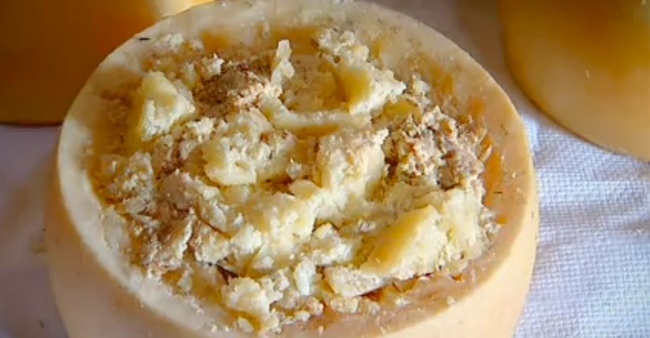 A perfectly hygienic Pecorino cheese is allowed to be infested by maggots. In fact, it is considered “fit for consumption” when it is absolutely filled with writhing maggots. Only when these creepy insects die, is the devilish cheese “past it’s best” for it has now become toxic for even the maggot’s highly acquired taste. Even if you do dare to eat this controversial cheese, just imagine these maggots trying to fight the stomach fluids and infest your organs. Every marriage has its own traditions and nuptials. In China and other places, if you are not served Shark Fin soup, consider your social status in jeopardy. 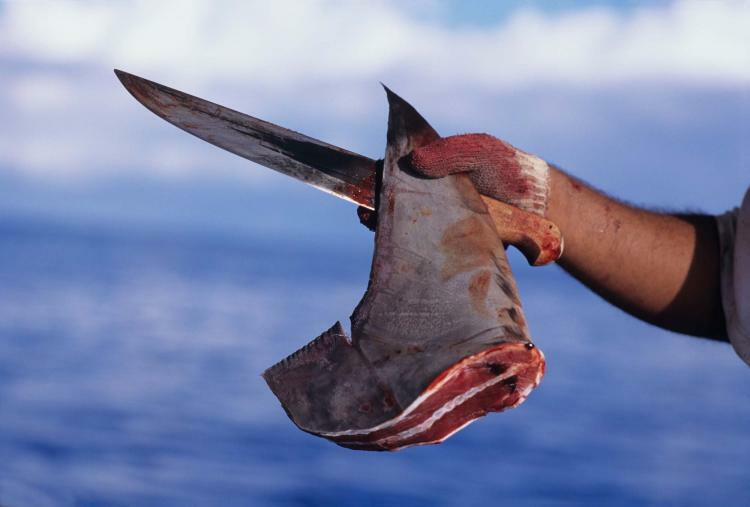 Animal activists everywhere have tried to put a ban on this specialty food because fishermen practice “live finning” where a shark is caught, it’s fin is cut off and then thrown back into the waters, all bloody and wounded. This cruel practice has successfully been banned in the United States and Taiwan. This delicacy of France is hunted and eaten with much gusto. It’s preparation and eating process is not like anything you may have witnessed before. The bird is kept in a cage, blinded and then force fed oats and millet to swell it up to ridiculous proportions. It is then drowned in brandy and subsequently roasted. Then comes the eating – the diners are required to place a napkin over their faces and place the whole bird in their mouth with only the beak protruding out. The diner is then supposed to bite down on the bird and savour the multitude of flavours that wash over the tongue. This became a topic for discussion when the population of this bird started dropping, leading to its total decline in some parts of Europe. Just when you think you have seen it all, Japanese come up with yet another practice to send a shiver down your spine. 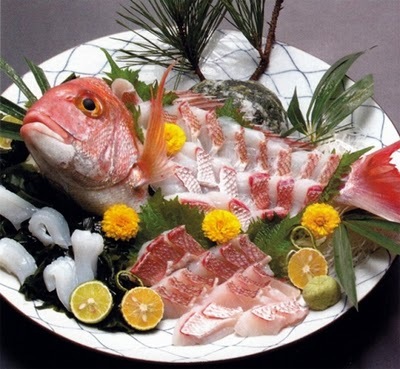 Ikizukuri is a practice where a fish is caught and filleted in such a manner that the fish is still alive when presented as a decoration to the sashimi and placed on the dining table. Although an extremely controversial method, Japanese will argue that it is a part of their culture and heritage (much like the French with Foie Gras). If your heart has beaten super fast in the face of fear, imagine a frog being killed and who’s heart is extracted table side and served fresh? 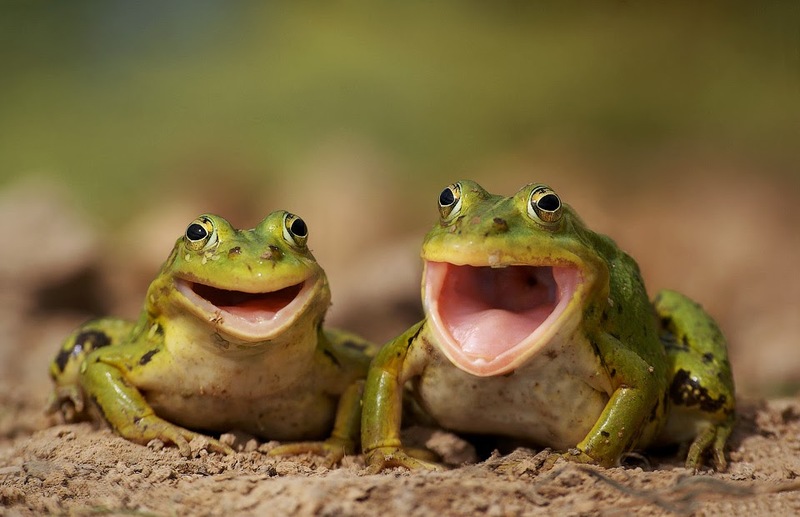 Gag not for this scandalous method of eating a frog’s heart is extremely popular in the streets of Tokyo and Osaka. 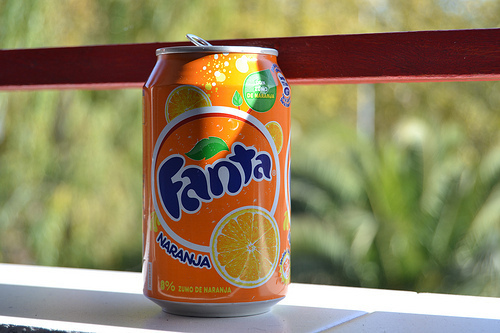 Fanta may not be as well popular as Coca Cola but when it was invented during the World War II in Germany as a substitute to Coca Cola, it was even less appreciated. Nobody wanted to be associated with “that Nazi drink”. Because of it’s scandalous beginning, Coca Cola soon took over the reins and profit of Fanta. Although the initial reputation has died out, it is still undervalued compared to Coca Cola. Why You Should Closely Follow These 6 GOT Characters? Read To Find Out Why Even Ramsay Bolton Is In The List.